In the 1920s the wolf was removed from Yellowstone. This caused a huge domino effect. The beavers in Yellowstone need wolves because wolves keep the elk population low enough for willows to survive. 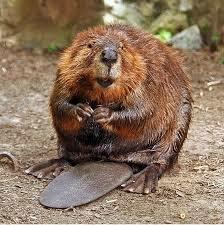 When the wolves were removed, the beaver population plummeted. A survey conducted in 1921 reported 25 colonies. In 1953, a survey found eight colonies on the northern range, but none at the sites reported in 1921 because there wasn’t enough willows to support them. There was also a lack of regrowth in cut aspen in that year. The amount of willows was also declining during this time. Ranger Jon Nicholson, a head ranger, said that he did not know if they have made a full recovery yet, but he said they have made a good comeback so far. Ranger Nicholson said, “96% of the life of a wolf is in the park. The elk in the park will only feed on the willow patches when the wolves are not there.” Therefore the wolves and the elk are fine where they are. They’ve adapted and found a way to live around each other. This leaves enough willows for the beavers. Dr. Shane Doyle is a member of the Crow Tribe and a tribal historian. He has a PhD in education from Montana State University. Dr. Doyle had an idea about creating interpretive centers in the town of Mammoth and sweat lodges throughout the park where Native Americans had once stayed. The interpretive centers would be used to educate people more on the park’s rules and the Native American history and perspectives in the park. The sweat lodges would be built so people can go inside them and get first-hand experience on how Native people view Yellowstone and the wildlife. Dr. Doyle’s talk about interpretive centers gave me the idea of education courses that park officials and decision-makers be required to take about the impacts we as people have on the park. This class would educate them on the consequences of decisions they make and the effects of those decisions on the park, such as removing wolves. If the decision-makers were more educated about the impacts, then maybe they will think twice about removing an animal from the ecosystem next time an issue arises. Ranchers around Yellowstone Park do not like the wolves in the park because they claim that they prey on their livestock. This is not entirely true because of the fact that the wolves in Yellowstone spend 96% of their lives in the park. They rarely leave. There is also an organization called the Defenders of Wildlife that pay ranchers back the loss of their livestock due to confirmed wolf kills. Recent research also shows that wolves are getting blamed for grizzly kills outside the park. If the decision-makers of the park were more educated about the impacts back in 1921, then maybe we wouldn’t have this issue today. But by setting up this course today, it could save many animals in the park, including the beavers, so that they don’t suffer from our poor decisions in the future. Yellowstone National Park Beavers by Carson is licensed under a Creative Commons Attribution-ShareAlike 4.0 International License. Carson, I find this very informative. The effects of the loss of a species in an area can be devastating to the organisms of the area. Every organism serves an important role in an ecosystem, some more so than others, and by removing any one species, the ecosystem changes dramatically. This is a common subject taught in biology classes and so it is great to see an example of it in our history. “Removing an animal from the ecosystem” truly is not an action that goes unnoticed, and so it is important that thorough research into the role of the organisms in an ecosystem is performed before any alterations are made. An site page that might help to further your research can be found at https://www.nationalgeographic.org/encyclopedia/keystone-species/ . Can’t wait to see where this goes!